Following Brexit, Is the UK property market still a good investment opportunity? The UK decided to pull out of the EU referendum by voting out in June 2016. This was followed by predictions of an immediate economic crisis with a devaluation in the sterling pound that followed immediately after, where the pound remains 10% lower against the dollar and about 15% lower against the Euro. However, contrary to predictions of immediate doom, the UK economy is estimated to have grown by 1.8% in 2016, second only to Germany’s 1.9% among the world’s G7 leading industrialised nations. The UK economy has continued to grow at almost the same rate in 2017. Inflation has risen since June 2016 to stand at 3.9%, but unemployment has continued to fall, to stand at a 42 year low of 4.3%. Annual house price increases have fallen from 9.4% in June 2016 but were still at an inflation-beating 5% in the year to August 2017, according to official ONS figures. Real estate agents reported that interest in the UK property market from overseas buyers was up by 50 per cent since the Brexit vote, largely credited to the fall in the pound making such investments cheaper for foreign and expat buyers. While second home stamp duty charges make luxury apartments and homes in London more expensive and hard to buy, other cities are emerging as the new stars of the UK property market. Property in Manchester and Nottingham are examples that offer cheaper house prices and are less likely to be affected by second home stamp duty charges. 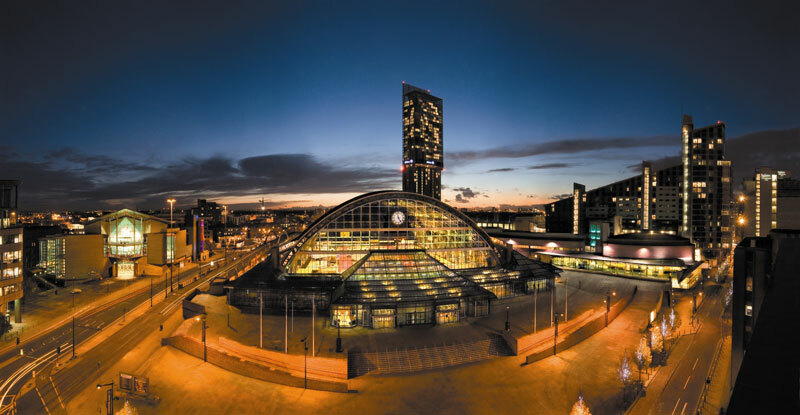 With over 80 of the top 100 FTSE companies located in Manchester and significant investment poured into infrastructure, Manchester is becoming a very promising investment opportunity where luxury apartments are being snapped up by new residents creating a demand for many more in the future. JLL’s February 2017 Northern England Residential Forecasts report, branded Manchester as “one of the hottest residential markets in the UK”, predicting 15% faster growth by 2021 in property prices as compared to the rest of the UK. This comes at the back of a documented increase of 30.8% between 2014 and 2016. To add to the enticing property value increase predictions, investors can also expect to see a rental growth of 20.5% over the next four years. Oxygen, a luxury property development by Alliance, UK’s leading property developer for the last 27 years is offering annual rental yields as high as 6%. ‘Oxygen’ is located within a highly accessible location in the heart of Piccadilly Manchester and will serve as a beacon of Manchester’s skyline. The development comprises of a spacious range of 345 stylish one and two bedroom apartments, twelve townhouses, five star leisure facilities and spectacular sky gardens. An oxygenated swimming pool, cinema room and a first of its kind valet car parking service make ‘Oxygen’ the epitome of luxury. ‘Oxygen’ also offers a fully equipped gym, steam rooms, sky gardens offering a 365 degree view of Manchester’s growing skyline, state of the art cinema room, underground parking and a 24 hour service concierge. Apart from buy to let properties, the student accommodation sector in the UK is yet another lucrative property investment opportunity that guarantees not just high rental yields but is forecasted to grow tremendously due to the increasing demand. Matthew Jay, Managing Partner at Alliance Investments says “With more students increasing year on year throughout the UK, more accommodation will certainly be needed to meet the demand.